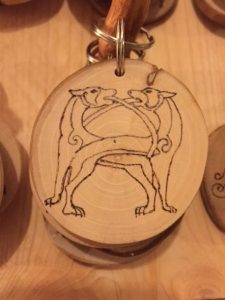 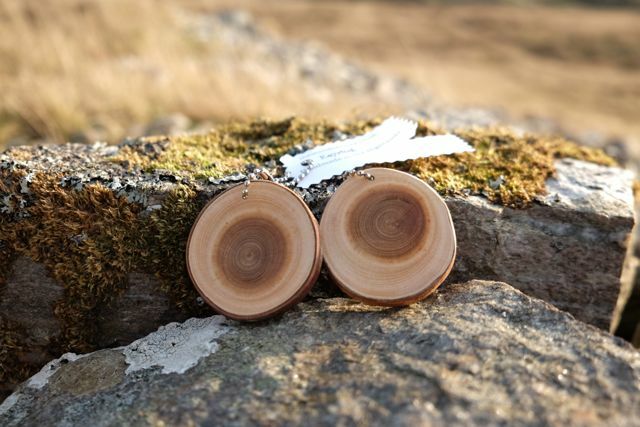 Here are some of our latest pyrography Pictish design key-rings. 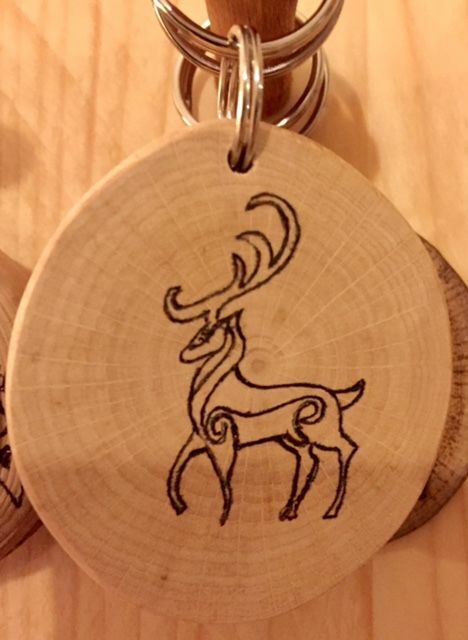 Please email us : thewoodlifeway@me.com to order directly from us Don’t forget to tell us your chosen designs. 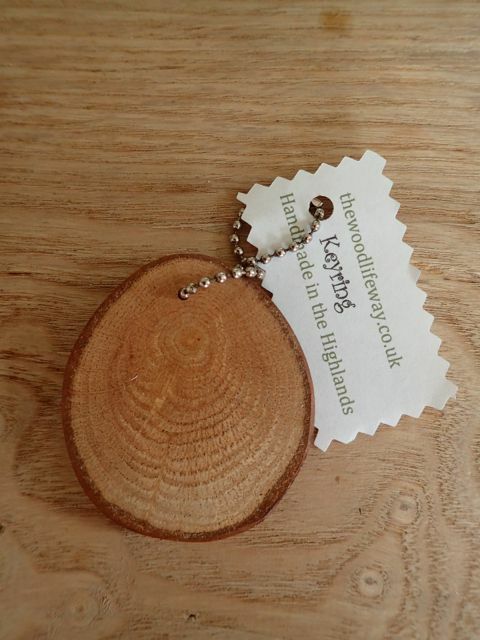 £3.50 = p&p at cost. 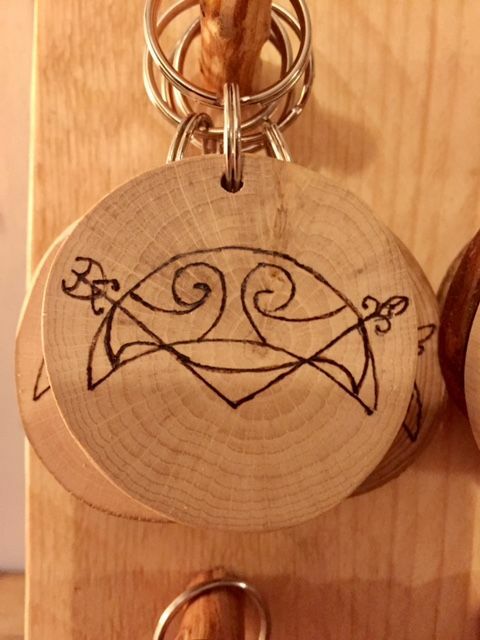 These are beautiful Pictish design Keyrings. 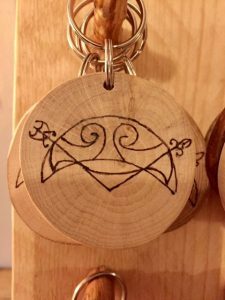 You can also buy these at Caithness Horizons museum in Thurso, where you will also find a fantastic collection of Pictish Stones and information. There are beautiful rich reds in the Cherry Keyrings’ at the top of the display and Amazing yellow green hues in the Sea Buckthorn Keyrings’ at the bottom. 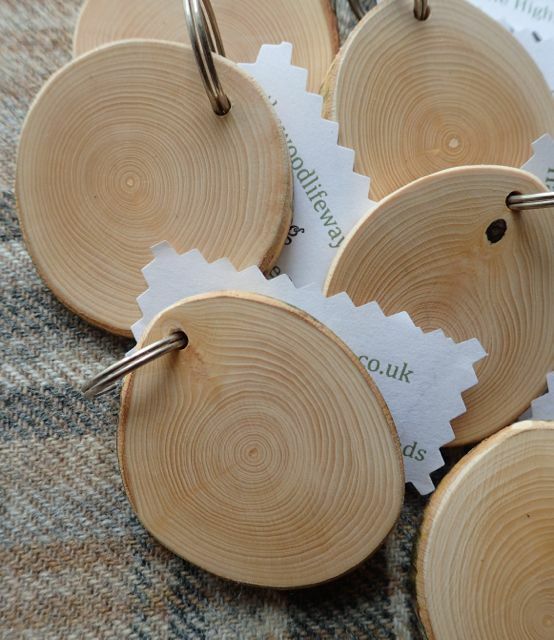 Keyring Display. 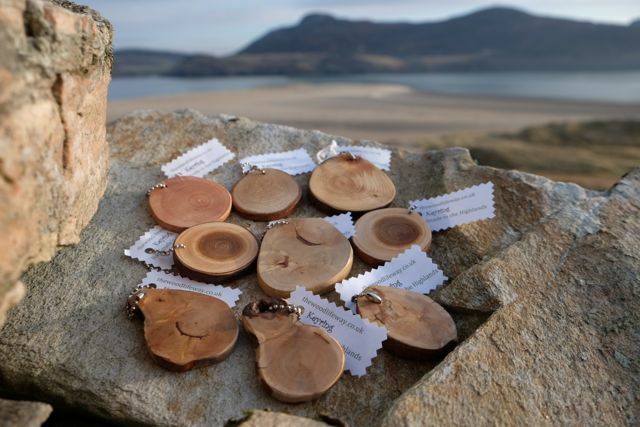 All materials made from trees grown at Dunrobin Castle gardens. 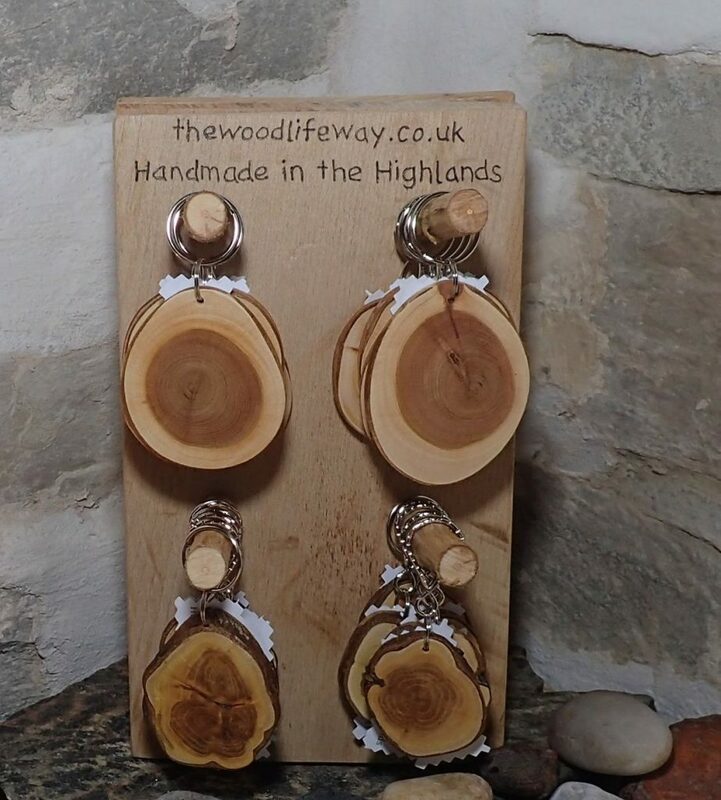 Apple, Cherry, Oak, Rowan, and Spruce Keyring’s.